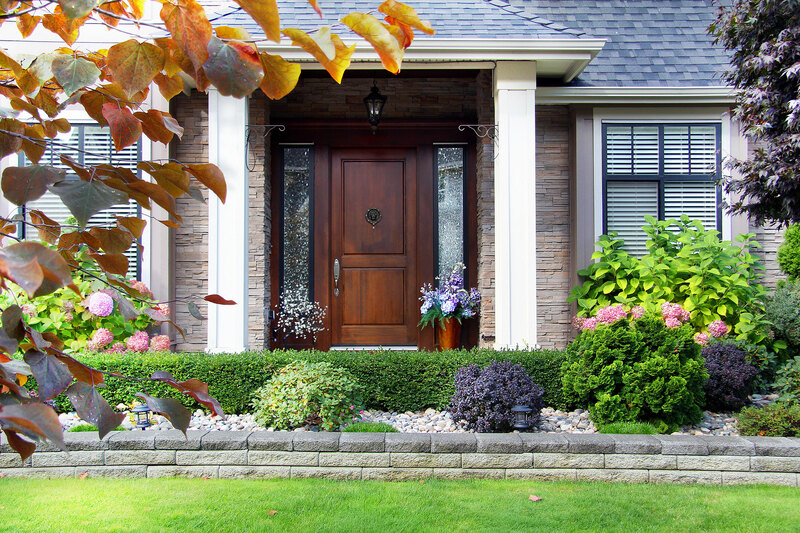 You can create a festive holiday atmosphere this winter in your front yard by using rock landscaping and flowering plants to create a holiday design. At MDI Rock, we offer a wide selection of landscaping rocks (as well as the mulch necessary to promote your garden’s soil health). Thanksgiving and Christmas (as well as other winter holidays) are traditional times for inviting relatives and friends to visit for an extended period of time. Additionally, children typically enjoy a festive look on the inside andoutside of the home during the holidays. The following are the two essential steps for incorporating flowering plants that grow best in Arizona during the winter season into a holiday design that incorporates landscaping rocks. White, red, and green are the three colors most associated with Christmas season decorating. Consider utilizing a combination of landscape glass and boulders to design an outline of Santa Claus or a snowman in your front yard (or back yard). The Phoenix location of MDI Rockin Arizona is open six days per week, so you do not have to take a weekday off from work to obtain your chosen landscaping rocks. Flowering geranium plants (with blossoms in red, white, yellow, and other colors) thrive in Arizona winter gardens, per an article in Arizona Living. These can be used to convey Santa’s usually-depicted red jacket (and hat) with white cuffs! Notably, the University of Arizona’s flower guide rates the growing difficulty of geraniums as “easy”. Meanwhile, white Sweet Alyssum plants are another excellent choice for an Arizona winter garden (and their white blossoms can also be featured in a Santa Claus design). The River Rock available at MDI Rockcan be utilized for Santa’s eyes, nose, and mouth (or for a snowman’s eyes, nose, and mouth). Since it is sold in different sizes, you can choose the right size to match your design. Alternatively, a different stone in brown or black can highlight the eyes, nose, or mouth (surrounded by blossoming plants planted at a few inches distance for best design effect). One key to a beautiful flower garden is the generous use of top soil (which is also available at MDI Rock). Since only one percent of Arizona’s typically desert-type soil is organic matter, spreading top soil where you plan to transplant flowering plants (e.g.,geraniums) directly into the ground is advisable. Along with using mulch to foster water retention, top soil that contains a sufficient amount of Nitrogen aids your garden by providing nourishment to foster the continued blossoming of the plant’s flowers. After the holiday season, you can incorporate your landscaping rocks (and landscaping glass) into other design elements bordering your flower garden.